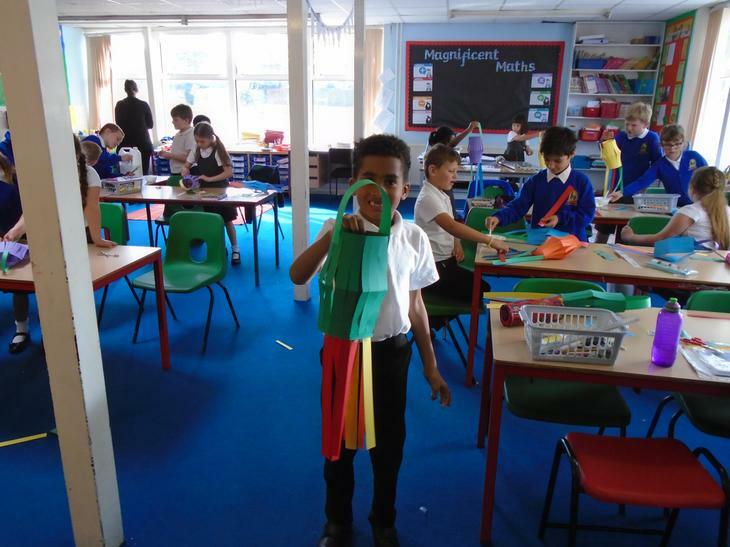 This term Year 3/4 has been studying Hinduism and focusing on the festival of Diwali, the festival of lights. 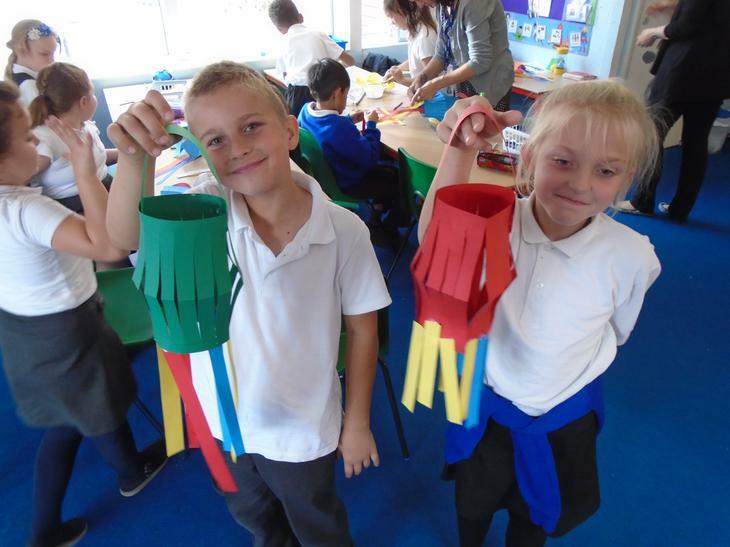 The children were fortunate to have Mrs Keskar speak with the classes about Diwali. They learned about the traditions of Diwali and even sampled some tasty Diwali treats - Besan Laddoo and Shankarpala! 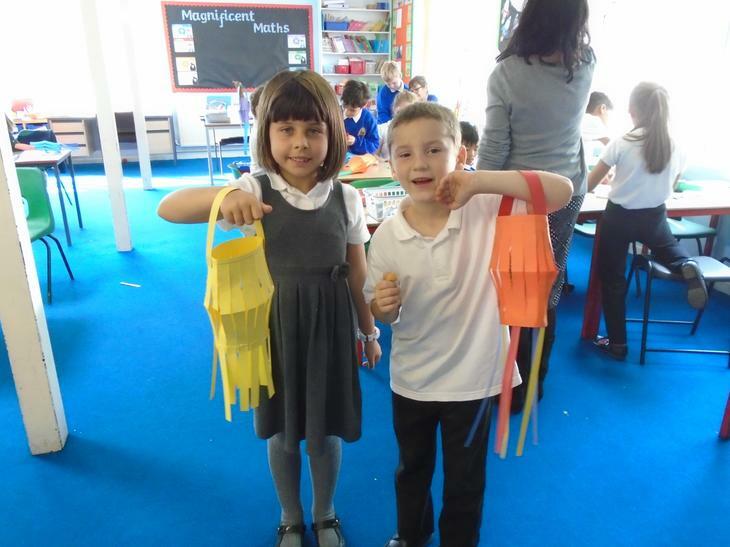 Afterwards, each class make lanterns to celebrate Diwali.